Encouraging multiple forms of scholarship in faculty reward systems: Does It Make a Difference? This article presents findings from a national study of Chief Academic Officers of 4-year institutions on the impact of policy efforts to encourage multiple forms of scholarship in faculty roles and rewards. The extent of reform, kinds of reform and influence of initiating reform is examined in four areas: expectations for faculty evaluation, the faculty evaluation process, promotion and tenure outcomes, and institutional effectiveness. The findings are also examined by institutional type. 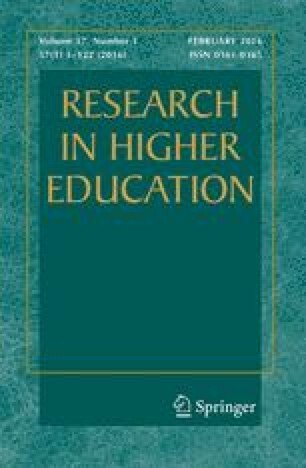 Findings from this study show that campuses that initiated policy reforms to encourage multiple forms of scholarship were significantly more likely than their counterparts to report that teaching scholarship and engagement counted more for faculty evaluation, to report a broader set of criteria used to assess scholarship, and report a higher percentage of tenure and promotion cases that emphasized their work in these areas. In addition, CAOs at campuses that initiated reforms reported a greater congruence between faculty priorities and institutional mission, and greater improvement in attention to undergraduate learning over the last decade.